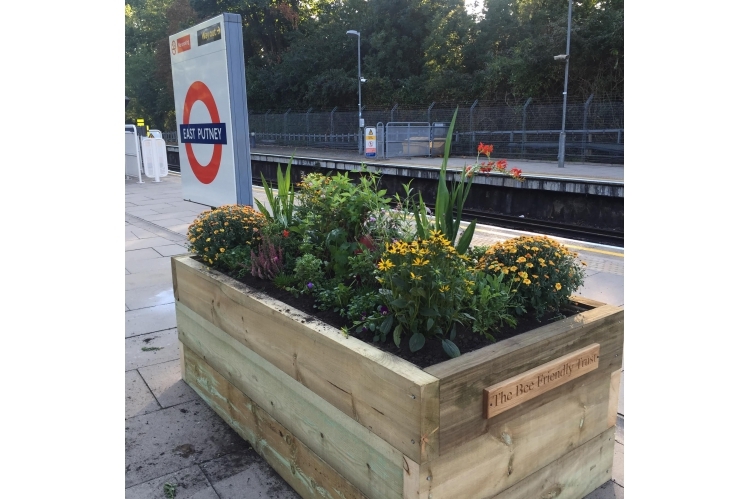 We are working with local communities to install planters and create wildlife areas full of beautiful bee-friendly flowers on railway and surface tube station platforms around the UK. This will provide pollinators with a pathway of forage along the railtracks of London and beyond, enriching the ecology and biodiversity of the country and enriching the lives of travellers, tourists, workers, and bees. We are also running workshops with local schools - in classrooms, on station platforms and via our Beemobile, to engage the next generation with the magical world of bees. If you know of a negelcted station that could benefit from some planters or a wildlife area, or a school that would welcome a workshop, please get in touch.